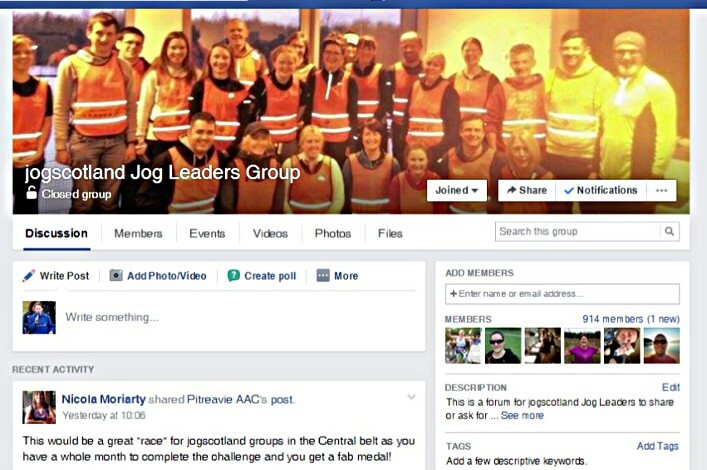 The Jog Leaders’ Facebook Group provides a forum for leaders to ask questions, share advice and give and receive encouragement from others who are in the same role. It is a vibrant group full of expertise and enthusiasm, and all jog leaders are very welcome to join. It is a closed group, so posts are only visible to members, and membership is restricted to jogscotland jog leaders and staff. If you would like to become a member, visit the group on the link above, ask to join, and answer the questions provided. We may not be able to approve your request straight away but we will do it soon – bear with us! If you have any problems accessing the group, please email Jo Stevens.